So, the first major motion picture I worked on comes out this weekend: Captain America: The Winter Solider. So go see it. Especially in 3D. It’s weird to think about the hundreds of hours I put into working on this film, and I am only one of the many people who worked on this. It’s a surreal experience seeing a movie you worked on and thinking about all the time and money spent on every second of it. The movie is 136 minutes long and cost 170 million dollars, that comes out to over $20,000 a second. 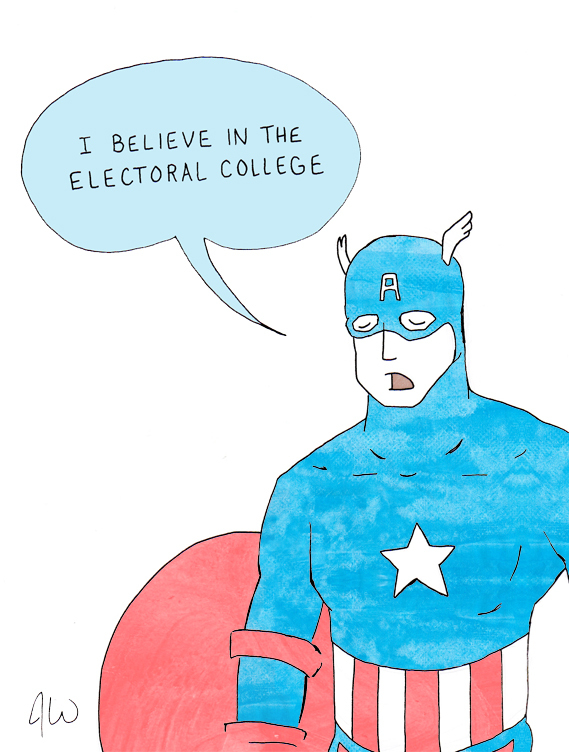 This entry was posted in Uncategorized and tagged Avengers, Captain America, Electoral College, movie, Winter Solider. Bookmark the permalink. Can’t wait to see it!!!!! I’m so proud of you! Good job, man! The baby has been tying us up a bit, but I will make a point to go out and see it this weekend.